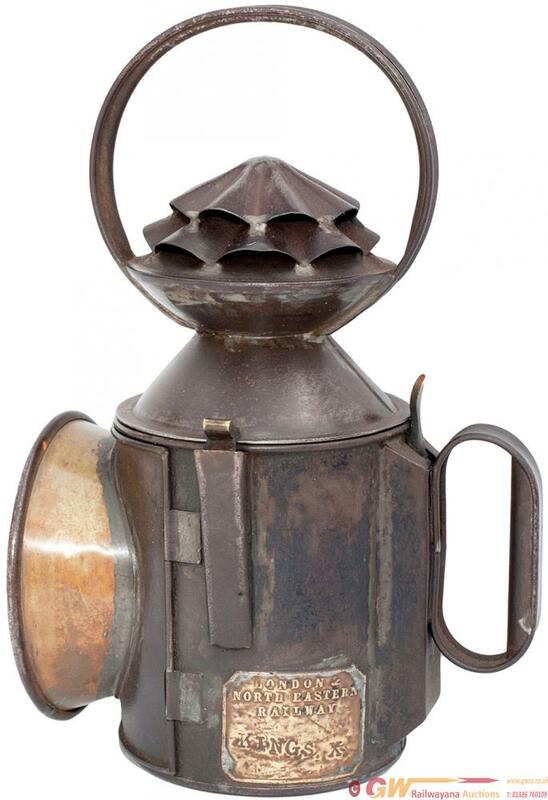 GNR 3 aspect double pie crust handlamp complete with brass plate LONDON & NORTH EASTERN RAILWAY KINGS X. The body is stamped GNR 17416 and the reducing cone LNER. Complete with all the glasses and slide in fore and aft reservoir. In good unrestored condition.